The wedding ceremony — in an ideal world, this would have been one of the first things you would have planned for the big day, seeing as well... the wedding ceremony is kind of the main point of your wedding, right? 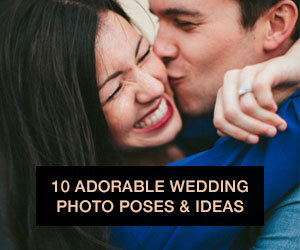 However, if this is something you're scrambling to plan a few weeks before the wedding day you're not alone — after picking the templates for your photo albums online, custom wedding announcements, email exchanges with your caterer, coordinator and photographer, planning your ceremony might not have been high on your list of priorities! Once you sit down to tackle wedding ceremony planning, you might find that there's a lot more moving parts to the 30-minute ceremony than you might have anticipated. You'll need to set up a rehearsal time, touch base with your officiant, find readers and ushers, write vows... and that's all without even mentioning the decor and details! 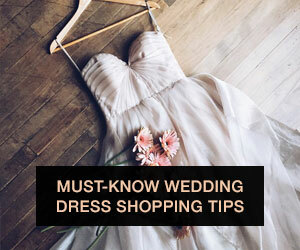 No need for panic though — as a bride who's going through the exact same scenario, I found it was helpful to break down the event into a wedding ceremony planning checklist with sub-tasks and to-do's to stay organized. With this cheat sheet, planning your ceremony will go from feeling insurmountable to being incredibly simple! Who can make it? 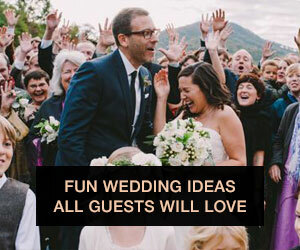 Ideally your officiant, members of your wedding party and parents are there. Who is running it — your coordinator or officiant? Both people are probably perfectly capable of running a rehearsal, so determine early who will be calling the shots and organizing your wedding part to limit confusion. Who will be doing your ceremony music? Will you use your DJ, or need to hire musicians? What music will you play for the prelude? What special song choices will you play for the processional, the bride's walk and the recessional? Who is walking down the aisle, and what order are they in? 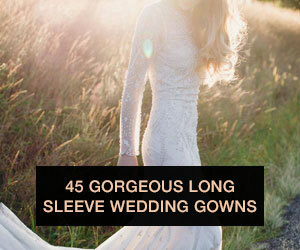 Who will be accompanying the bride down the aisle? Let's move on to the core part of your ceremony — it's content. If you've hired an officiant or religious figure to run your ceremony, talk with them about their typical wedding ceremony timeline. Chances are they've done this before, and there's a specific formula or format they tend to follow. (Think: processional, opening remarks, readings, prayers, etc.) Once you have an idea of what their ceremony content timeline looks like, figure out if there's anything you'd like to include or exclude and communicate that with them as soon as possible. The sooner you're both on the same page about ceremony content, the better! Once you have the content timeline figured out, decide on your ceremony readings (if you are having any). What passages, poems, songs, etc will you be incorporating, and who will be reading them? Make sure you ask your ceremony readers about fulfilling this role early, so they have time to prepare — or so you have time to find someone else if they aren't up to the task! Lastly, your vows. Will you be using traditional religious vows, writing personal vows, or writing special vows together? Decide what you want to do early and don't leave the writing to the last minute. Great vows take time and thoughtfulness — two things that might be in short supply the night before your wedding! Seriously, don't forget the rings. 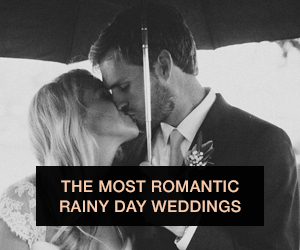 Make sure you know who will be handling them (traditionally the best man) on the wedding day, from the morning right up until you need them at the ceremony. Any other optional notes — your wedding hashtag, a meaningful quote, a note to turn off cell phones, etc. Make sure to run your program by your officiant! Some religiously affiliated officiants may have a format for you to follow with the programs, or notes on how to word certain parts of the ceremony. Of course, the final content and design of the program is up to you but it doesn't hurt to cover your bases! Get inspired with these creative save the date ideas as well. There are a few important roles in your wedding ceremony that you may or may not have filled yet. Consider this a reminder to reach out to people if you need them to fulfill any of the roles below! Who will hold on to your rings? How much or little you decide to decorate your ceremony is completely up to you — many couples opt to have lots of details and decor for maximum visual impact at their ceremony, while others opt not to spend too much time or energy on ceremony decor. In some cases, if you have a particularly scenic or stunning ceremony venue, you might not need that much decor to make a statement. 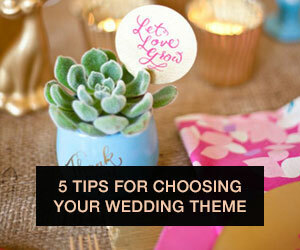 I personally am choosing not to decorate the ceremony too extensively, as well — your guests are only going to be sitting there for about 30 minutes! Below is a list of common ceremony decor items for weddings — what you choose to use is up to you, so think of this list as more of a reference! Phew! That's quite a long list of planning tasks and to-do's, but hopefully with this checklist you'll be able to plan an amazing and memorable wedding ceremony in no time. How did you plan your wedding ceremonies, brides and grooms? Let us know your secrets to memorable wedding ceremony success in the comments!